Not all pest control companies were created equal. Unfortunately, it is too easy to get state permits for pest control and there are many outfits in the industry that simply are not up to scratch. It is important to do your research to make sure you pick the right company first. Not only could the wrong company charge you too much money for inadequate pest control but they could even worsen the problem you called them in to fix through insufficient knowledge and training. Does Your Company Deal with all of the Pests? There are many different pests that can affect your home. From mice and small marsupials to ants, termites and bed bugs. There is not much point employing an ant company who may encounter mice in their inspection but are unable or unwilling to treat the problem. The best and easiest way to deal with pests in the home is to seek and employ a company that can detect and eradicate all manner of household pests. When you contact a pest control company for a quote or as part of your research process, make sure to ask whether there is anything they won’t do. A major advantage of a company that can deal with any and all pests is that they may be able to detect and treat issues you are not aware of when you ordered their services or inspection. What about Inspections and Preventative Work? Houses are for humans and their pets. Nobody wants to share their new home with unwanted guests that spread disease. Pest management is more than just solving a problematic infestation. Good pest management companies also offer regular inspection services, which are particularly important for the detection of termites – they can go unnoticed to the casual observer until it is too late. Preventative work, like installing termite barriers, is another crucial component of any self-respecting pest management company’s repertoire. Maintaining a healthy home is much like maintaining a healthy body, prevention is better than a cure. Will They Go the Extra Mile? Pest management is one of those issues most people don’t want to think about. True pest management professionals understand this while also understanding that every building requires a custom approach. They will work hard to make sure your lifestyle isn’t interrupted by their activities unless it is necessary. At the same time, they will understand how the particular conditions of your building may be susceptible to certain pests and provide advice to help you make the most informed decisions about keeping your place pest free. Contact us today to see how we can provide the bespoke experience you deserve. 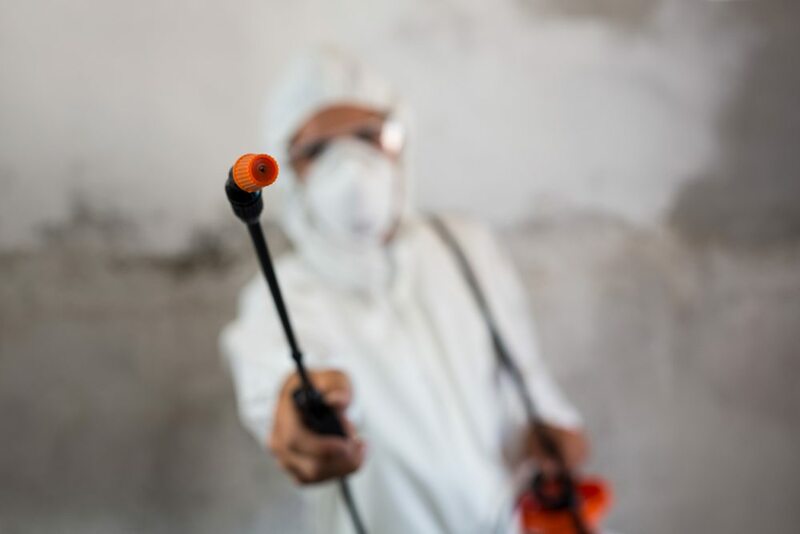 We are highly trained professionals with years of experience in eradicating pests of all kinds from all sorts of homes and businesses in Brisbane. We offer a full suite of preventative measures and inspection services. There is no problem too big or too small for our team. We can even control weeds for you!